In continuation of this Ministry's letter No.1-712015-U.ll(1) dated 02.11.2017 and fetter No.1-712015-U.II(2) dated 02.11.2017, it is informed that that the Government of India have decided, in consultation with the Ministry of Finance (Department of Expenditure), to revise the rate of allowances of teachers, equivalent academic staff, Registrars, Finance Officers and Controller of Examinations in Central Universities and colleges thereunder and Centrally funded Deemed to be Universities on the basis of recommendations of the 7th Central Pay Commission, with immediate effect. 4. This issues with the concurrence of Internal Finance Division vide Dy. No.267/IFD dated 28th January,2019. Pradhan Mantri Mudra Yojana (PMMY) has been initiated by Government for facilitating self-employment. Under PMMY collateral free loans upto Rs. 10 lakh, are extended to small/micro business enterprises and to individuals to enable them to setup or expand their business activities. Till 25th January, 2019, total 15.59 crore loans have been sanctioned under the Scheme. 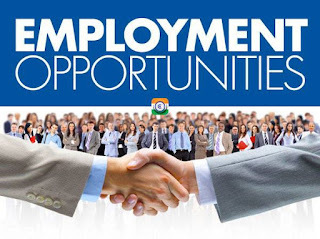 Pradhan Mantri Rozgar Protsahan Yojana (PMRPY) has been launched by the Ministry of Labour & Employment for incentivizing employers for promoting employment generation. Under this scheme, Government is paying entire employer's contribution (12% or as admissible) towards EPF and EPS for all eligible new employees for all sectors for three years. Till 21.01.2019, more than 1.04 crore employees have been benefitted through 1.28 lakh establishments under this scheme. As per the results of available labour force surveys on Employment-Unemployment conducted by Labour Bureau, Ministry of Labour and Employment, the estimated unemployment rate for persons aged 15 years and above on usual status basis in the country in 2012-13, 2013-14 and 2015-16 was 4.0%, 3.4% and 3.7% respectively. This information was given by Shri Santosh Kumar Gangwar Union Minister of State (I/C) for Labour and Employment in written reply to a question in Lok Sabha today. During the last 5 years, the minimum wages of labours of all classes have been increased by 42% which is the highest increase so far. While presenting the Interim Budget 2019-20 in Parliament today, the Union Minister for Finance, Corporate Affairs, Railways and Coal, Shri Piyush Goyal said that the high growth and formalistation of the economy has led to the expansion of employment opportunities as shown in EPFO membership, which has increased by nearly 2 crore in 2 years reflecting formalisation of the economy and job creations. Shri Goyal said that the 7th Pay Commission recommendations were implemented and New Pension Scheme (NPS) has been liberalized. The Government’s contribution in NPS had been increased 10% to 14%. The limit of gratuity payment has been increased from Rs. 10 lakh to Rs. 20 lakh. The limit of eligibility cover of ESIC has been increased from Rs. 15,000 per month to Rs. 21,000 per month. The minimum pension for all labours has been fixed at Rs. 1,000 per month. 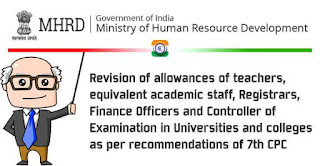 In case of the death of a labour during the service, the EPFO contribution has been increased from Rs. 2.5 lakh to Rs. 6 lakh. The honorarium of all classes of labours under Anganwadi and Asha scheme has been increased by about 50%. Guidelines for the Conducts of Govt. Servants (dt. 06.11.1984). Election Commission's Letter No. 62/84, dated 6th November, 1984 to Chief Secretaries to State/Union Territories, all Chief Electoral Officers and Ministries of Home Affairs and Law and Justice. Subject:- General Elections/Bye-elections - Guidelines for the conduct of Government servants. I am directed to invite your attention to sections 129 and 134 of the Representation of the People Act, 1951, relating to the conduct of Government servants during elections and to say that the Government of India as well as the State Government have been, before conduct of a general election, issuing instructions regarding the conduct of Government servants in relations to an election, stressing that all the Government employees should maintain an attitude of strict impartiality. 2. The Government employees should not only be impartial but should also appear to be so in relation to the elections. They are required to conduct themselves in such a manner as to inspire confidence in the public in regard to their impartiality so that there might not be any occasion for the people to think that the elections would not be held in a free, fair and pure atmosphere. It should be stressed that they should avoid giving room for any suspicion that they are favoring any party or any candidate. They are not expected to take part in any election campaign or canvassing and should take scrupulous care not to lend their names, official position or authority to assist one individual as against another or one group as against another. 3. With particular reference to the tours that the Ministers might undertake on the eve of the elections, it is necessary that while Government Officers should make all the usual arrangements to enable the Ministers to carry out their responsibilities as Ministers, the Government Officers should not themselves organise any election meetings or be present in person during any such meetings except those who may have to be present to the extent necessary for maintaining law and order and making necessary security arrangements. The question as to whether a public meeting addressed by a Minister is officially sponsored or is held for election propaganda has to be decided by the Minister himself. In the meeting, the arrangement for organising it is to be made on the Minister's behalf unofficially and the expenditure in that connection is to be borne by him or his party. It is further made clear that a public meeting held on the eve of an election is normally to be considered to be an election meeting and the expenses thereof are not to be borne from public funds. The preservation of law and order at every meeting will, however, be the responsibility of the Government officials responsible for law and order. 4. In this connection I am also to enclose a copy of the Ministry of Home Affairs’ O.M. No. 25/44/49-Ests, dated 10th October 1949, which clarifies the position regarding the participation of Government servants in political activities vis-a-vis the attendance by Government servants at political meetings, for your information. The contents of the said O.M. 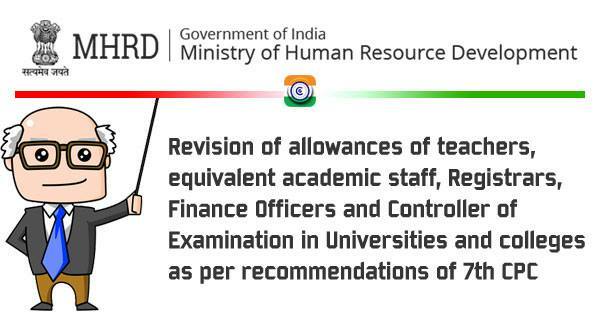 may also be brought to the notice of all Government servants for their guidance. 5. In the matter of election meetings in a public place, the Government officers should not make any distinction between one political party and another in granting permission to hold such meetings. If more parties than one apply for holding a meeting at any place on the same day and at the same hour, the party which applies first should be given preference. If any person in the service of the Government acts as an election agent or a polling agent or a counting agent of a candidate at an election he shall be punishable with imprisonment for a term which may extend to three months with fine, or with both." 7. In this connection, I am also to forward herewith an extract of rule 5 of the Central Civil Service (Conduct) Rule, 1964, which inter alia prohibits the Government servants from taking part in politics and elections. It is presumed that similar provisions exist in the rules governing the conduct of Government servants of your State. 8. I am, therefore, to request that necessary instructions in the above regard may kindly be issued by the State Governments emphasising upon the Government servants that any disregard of instructions would be considered by the Government as a serious act of indiscipline and that in cases of doubt a Government servant should not hesitate to consult his superior officer. 9. A copy of the instructions issued by the State Government may be forwarded for the Commission's record. The receipt of this letter may please be acknowledged. The undersigned is directed to refer to this directorate’s O.M of even number dated 02.01.2019 where in instruction on introduction of 'Emergency' leave for a maximum of 5 days in a calendar year for all categories of Gramin Dak Sevaks (GDS) were circulated. (i) Prior sanction of the emergency leave for BPMs will be required from the concerned Divisional Head. Similarly, prior sanction of the emergency leave for the ABPM/Dak Sevak from Sr. PM/PM Sub Divisional Head/ HRO/SRO/SPM will be required. 3. It is requested to circulate the above instruction to all concerned and ensure that the instructions are strictly followed. 4.This issues with the approval of competent authority. "The working class is also betrayed contrary to the claims being made by the prime minister and the finance minister in regard to providing dignity to the workers. Nothing announced about the demand of Rs 18000 minimum wage to workers about 45 crore of them who were hoping against hope." The BJP led NDA government has once again attempted to throw jumlas on the face of suffering people of India through its vote on accounts (interim budget). The announcements made are with forthcoming elections in mind, just throwing statistics without any basis. On one hand side it is a cruel joke on the marginal farmers who hold land up to 2 hectares which number about 86 % of total farmers in the country offering rupees 17 per family per day. The rural landless poor who work in the fields and related agricultural activities have been offered nothing. There is nothing in the budget statement to address unemployment which has reached highest in last 45 years. Nothing offered for job creation, no steps announced to fill up the already sanctioned central and state government posts. Hence the youth is once again cheated. Those who should be covered in EPF in India should be about 10 crore workers which actually are yet not fully registered and hence all of them not been covered for pension. It is those registered only who are already being covered for pension that the pronouncement in this budget to be benefiting with pension of rupees three thousand where as demand of these workers is for pension not less than 7500. There is nothing in the budget for about 35 crore of unorganized sector workers other than the 10 crore workers who are covered under EPF. The working class is also betrayed contrary to the claims being made by the prime minister and the finance minister in regard to providing dignity to the workers. Nothing announced about the demand of Rs 18000 minimum wage to workers about 45 crore of them who were hoping against hope. The false claim of control on price rise is another insult on the people who are finding it too difficult to run their kitchens in the face of steep rise in the prices of every day essential items. No tax increase on corporates or wealth tax which are very necessary to meet the present crisis ridden economy of the country. The hollowness of the government and its camouflaging ways were on display through this interim budget.